Just lately Microsoft seem to be determined to mix up brand names to confuse customers. For a while now we’ve had OneDrive for Business, the product that is built on the back of totally has nothing to do with OneDrive. OneDrive is your typical cloud file sync platform… and actually one I like enough to make my primary cloud storage of choice. 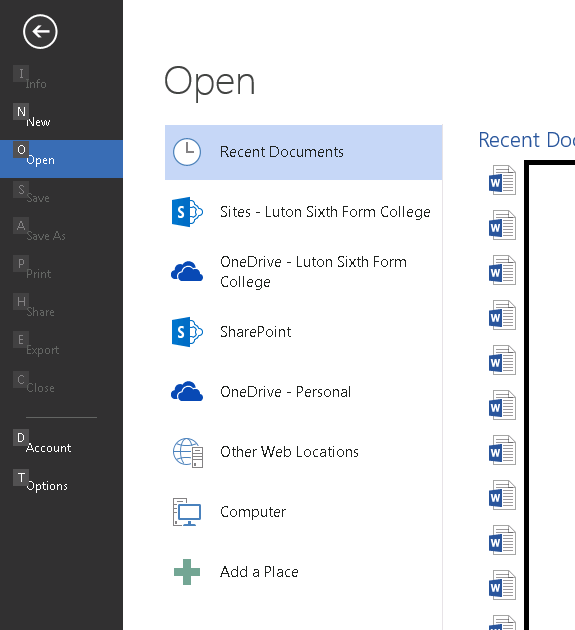 OneDrive for Business is the name Microsoft have decided to give to uploading documents to a personal document library in SharePoint, in particular SharePoint Online/Office365. Even Microsoft know its confusing enough to need a guide, but they still don’t seem interested in making it clearer. We have staff and students who, quite reasonably in my opinion, want to know why they saved something to “OneDrive” at home and can’t find it on “OneDrive” at work and I don’t think we’re alone. I know I can explain the difference to users and yes, I do know how to do it without using big scary technobabble words but the point is that I shouldn’t have to explain it and users shouldn’t have to try and remember which one it is they have to use if they want to share little Elsa’s snowman picture with grandparents, and which one they have to use if they want to share this quarter’s figures with the CFO. The two totally different products should have different names to highlight the fact that they are, well, different when they’re both likely to appear in the same list of file locations in Office. Encouraged by this, Microsoft have now announced that Lync – their business voip and comms product, will be named Skype For Business in its upcoming 2015 version. This is a terrible decision, of course. While Skype is a bigger brand name than Lync, which is presumably what’s behind the decision, but Lync is a brand in its own right, and one that was building some momentum. Much like the problem I hint at above, I fully expect to see users signing into Skype and panicking when they can’t see their business contacts, or signing into Skype for Business and becoming annoyed when they can’t see friends and family. Given the fashion for converged mobile devices and BYOD these days, I don’t think either of those scenarios is terribly unlikely. Enterprises deploying Google for Work would disagree. Skype for Business still has all the enterprise class security, compliance, control & scale of Lync. My reply to that here is exactly the same as my reply there: “Google for business” doesn’t have the baggage of being attached to an unreliable home product that’s been kicked around from corporation to corporation that the Skype brand does. 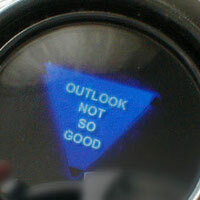 Microsoft seem to be determined to consolidate brands without too much concern about the technology used. They also seem to be deliberately confusing the various levels of cloud, on-line, self-hosted or local application types. It all seems rather marketing driven with the underlying technology being a secondary concern at best. Unlike the commentator behind that quote, I’m not confused, but then I’m being paid to keep up with this kind of nonsense. Lots of my customers are confused. They don’t care about naming strategies and what might or might not be behind ideas like this. IT managers and directors just want to know what it is, exactly, they need to buy, and end users want to know what it is, exactly, they need to use to get a particular job done. Please, Microsoft, try to come up with a coherent branding strategy that helps people understand where a product sits without simply using cop-out phrases such as “X for business” to describe enterprise products that are totally unrelated to X. This is far less helpful to end users than somebody obviously thinks it is (I assume that even Microsoft’s notoriously bad marketing team aren’t setting out to be obtuse on purpose) and it makes it difficult to get products taken seriously in large enterprises. “Skype for Business” is instantly a harder sell than “Lync” because a CTO who might not have heard of Lync will have the perception of Skype as a consumer grade product. Maybe we should just call Windows 10 “Xbox One for Business” and have done with it. Next WiFi is hard… Yes, even with today’s Top Gear.